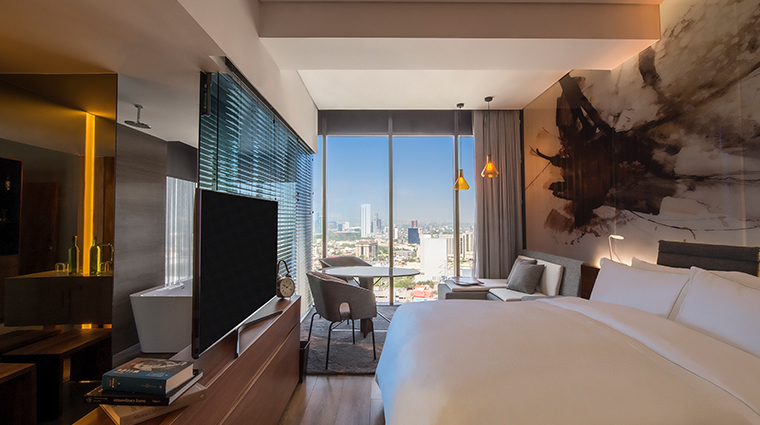 Few hotels mean as much to the cities they're in as Live Aqua Monterrey Valle does to its hometown. 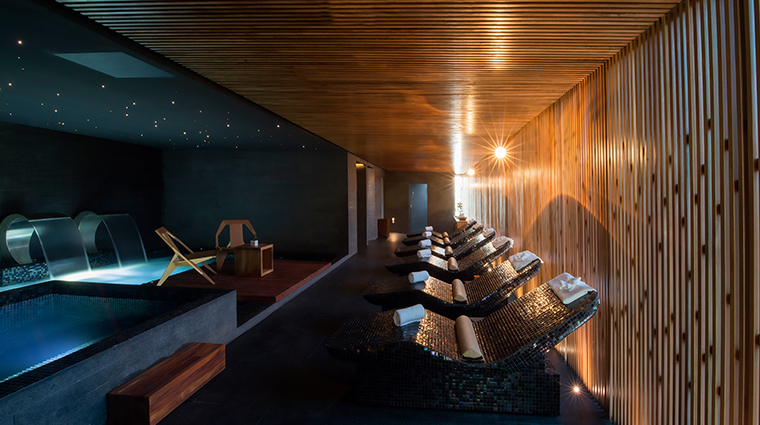 For Monterrey, the opening of Live Aqua was a coming of age that finally validated this industrial workhorse of a town as a true cosmopolitan city worthy of international attention. Mexico, and the rest of the world, can now embrace Monterrey not just for its storied history and its hardworking populace, but also for its rightful place in Latin America's social scene. Live Aqua, which has an onsite heliport, operates as a status symbol — both for the city and for the guests. The hotel's event center, restaurant and bar have become quite popular hosting spots for local businesses and individuals who are trying to impress. Amazingly, though, you can still call it understated. In fact, it nails subtle sophistication with a bit of edginess — you can’t miss the 70-foot-tall inspirational quotes by Federico Fellini and (surprisingly) Tupac Shakur that span the interior of the glass atrium. To set the tone, arriving guests are encouraged to take a seat in the lounge-like reception area during check-in, where a faux river snakes across the room and leads to a massive wall of windows overlooking the mountains. 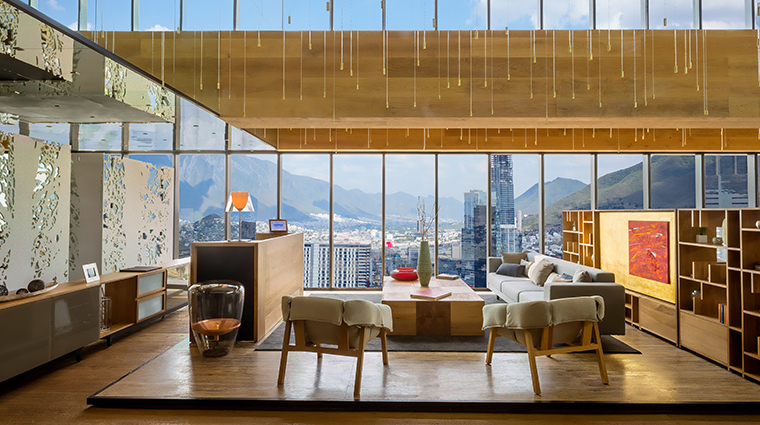 No matter how many opulent guest rooms you've been in, you won't be able to resist taking a picture of the view high above the city with the Sierra Madre Mountains on the horizon from your bedroom window. 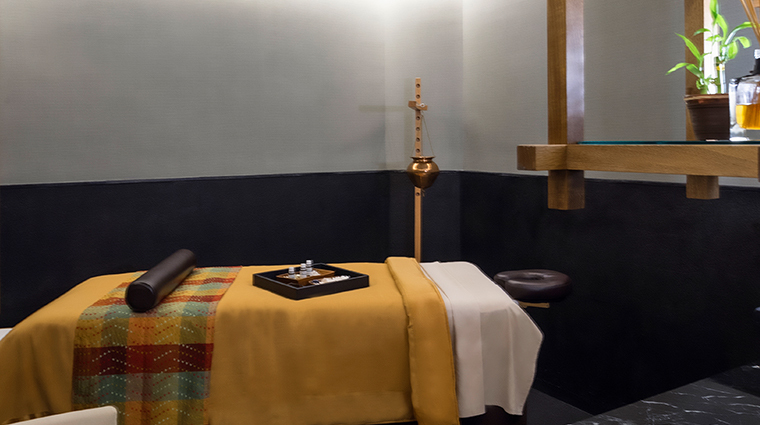 Live Aqua’s Feel Urban Spa is all about water. 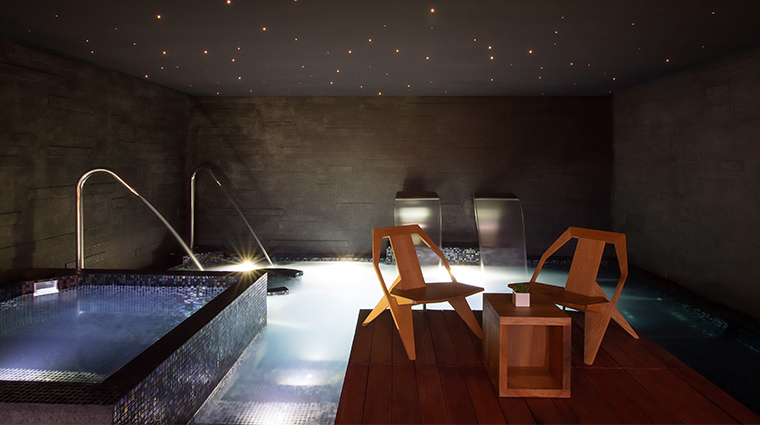 It features a hydrotherapy circuit with plunge pools of varying temperatures that do your body right, plus there are sensory showers and wet and dry saunas. 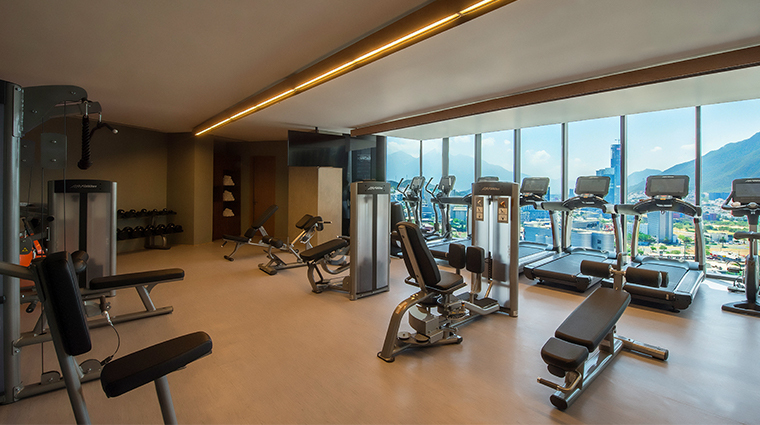 The fitness center has LifeFitness treadmills, ellipticals, bikes and workout stations, plus free weights and a view of the mountains that provides just enough inspiration to figure out why you're at the hotel gym in the first place. The luxury hotel occupies the top floors of the main building of the Trébol Park commercial development, which also houses an artsy atrium, restaurants and shops. The architects and interior designers definitely had some fun with this one, pushing the envelope on seduction and refinement. Even the rooftop lounge combines the industrial (black-spray-painted bicycles bolted to the walls) and the natural (an enticing swimming pool and gardens) in a way that seems to make sense. The rooms have bold avant-garde artwork with a flash of color, but everything else is subdued grays and earth tones, evoking a strong sense of sophistication and refinement. You can customize the guest experience by picking a scent from the complimentary aromatherapy kit and selecting from the pillow menu. You just might snap a photo of the huge bathtub and separate rain shower that seem perched on the edge a cliff, with an amazing view of their own. 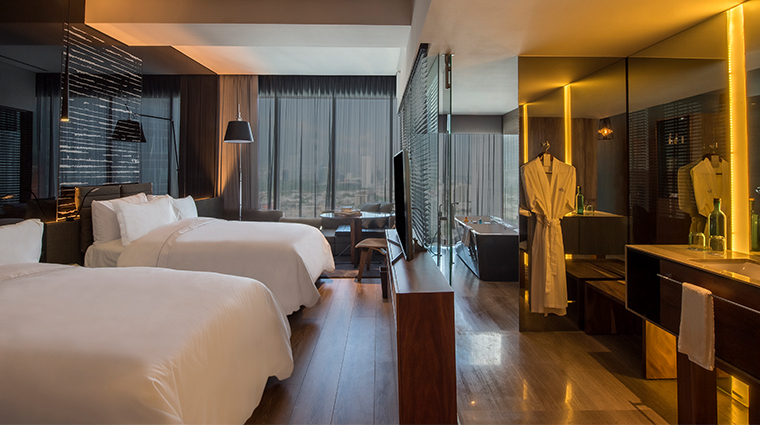 For the ultimate stay, opt for the Luna Suite, an ultra-luxe room with a large living area, dining room, kitchenette and king bedroom suite with a huge soaking tub housed in an atrium that opens to the sky. 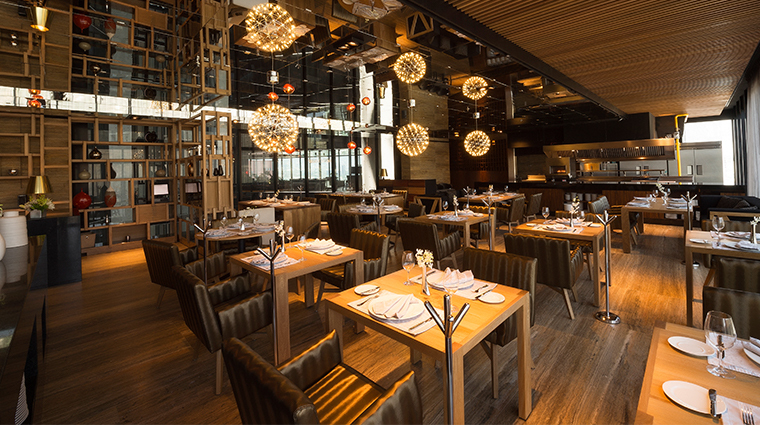 The Monterrey hotel's restaurant and bar are popular with the city's nouveau riche and have become hip spots to see and be seen. The restaurant has great city views, an open kitchen and a blazing pizza oven. It offers cuisine drawing inspiration from Argentina, Spain, India and beyond. The featured dish, cabrito (goat) pizza with borracho sauce and Oaxacan cheese, however, is rooted in the city's own traditional fare. 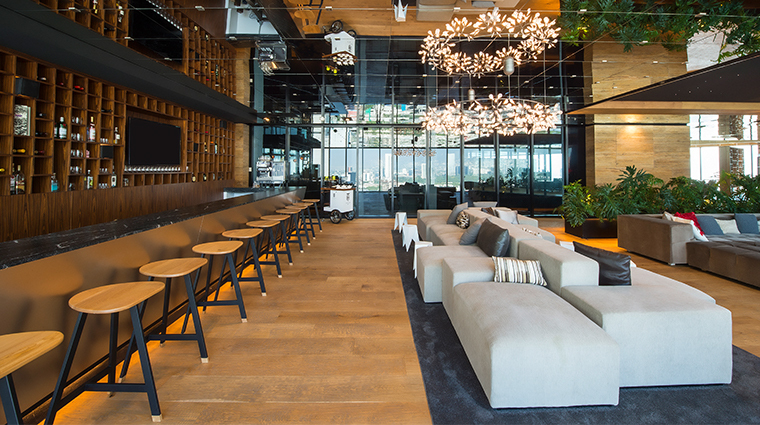 The bar is a stylish watering hole with stunning city views and a posh elegance that’s hard to find elsewhere.